At the junction where the Columbia, Snake and Yakima rivers meet sits the unique and prestigious Bernard Griffin Winery. They boast the only winery in-house glass arts studio in Washington State. Their eclectic artistic eyes for quality provide a wonderful combination for site-seeing wine and art lovers. Glass artisan Deborah Barnard and artisanal winemaker Rob Griffin paired up to begin producing wines over 30 years ago, in 1983. During the infancy of the winery, Rob was lead winemaker and general manager at infamous Hogue Cellars. 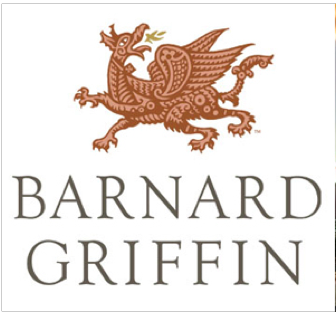 In 1996, they opened the tasting room for Barnard Griffin, the lifetime brainchild of the couple. They produce a wide range of wines designed to please any palate. Some intriguing vintages include their Signature Orange Muscat and Reserve Roussane. Most recently, their 2012 Fume Blanc won accolades by Wine Enthusiast magazine, receiving 91 points and number 2 on their “Top 100 Best Buys of 2014” list. This is only one of their numerous awards. Their mission is to consistently create high quality wines developed at their family-owned winery. Thus far they have proven successful through their competition wins and reviews. They grow some of their fruit on their 70-acre property as well as source premium grapes from within the Columbia Valley American Viticultural Area (AVA). This includes nearby Wahluke Slope, Horse Heaven Hills, Red Mountain and Columbia Gorge AVAs. Wine club members enjoy complimentary tastings and shipments of their premium wine several times a year. They have three membership options for their fans: Signature, Reserve, and Reserve by Design Clubs. Each tier provides members with different levels of interaction and cost. Visitors to the winery can try their hand at one of the many db Studio glass working classes led by winery owner Deborah Barnard or peruse the master gallery and shop. For a $5 or $10 fee respectively of tier, guests can sample any of their Griffin or Reserve labels. Tasters can then get a discount equal to their fee from their wine purchase. Hungry evening guests can also partake in delicious food pairings at their attached Wine Bar and Eatery. While their winery tasting room is open every day from 10am until 5pm, their Wine Bar and Eatery is also open weekday evenings from 4-9pm. They provide live music entertainment Friday and Saturday nights from 7-10pm. Sunday travelers can partake in the eatery and bar from noon until 5pm. Their food is known for it’s local, fresh and modern appeal. It’s a destination in itself for delicious cuisine, beverages, and stunning glass art.